For many years, there were arguments that black holes were nonsense and did not exist. Astronomers have captured the first image of a black hole, which has at last has settled the debate. 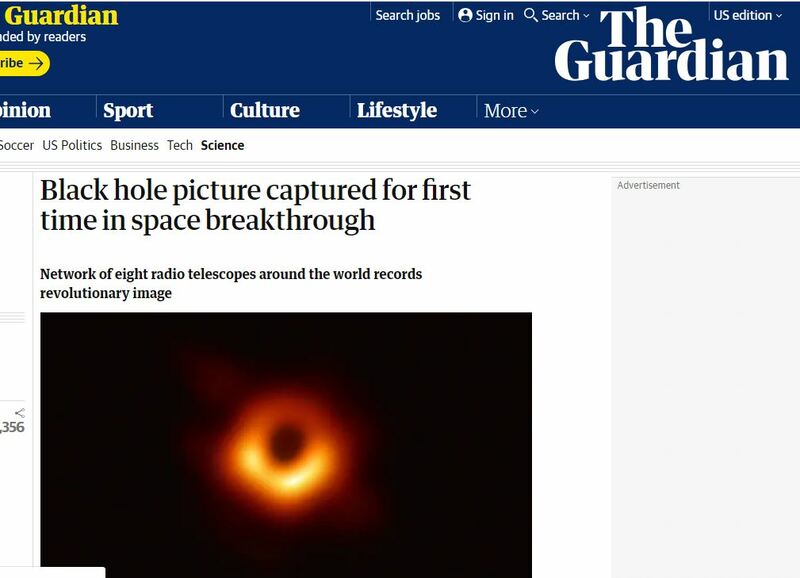 The picture taken illustrates a halo of dust and gas, which forms the outline of a huge black hole 55 million light years from Earth (see Guardian). This raises hope that one day the Global Warming crowd will be proven wrong. CO2 levels do not create a greenhouse from which the planet will continue in a warming direction until we all drown or are fried to death. They have never heard of cycles and ignore the fact that the Earth has gone through cycles of warming and cooling long before moms drove their kids to soccer matches. « The Boeing 737 Max 8 Grounding – Has Technology Gone too Far?